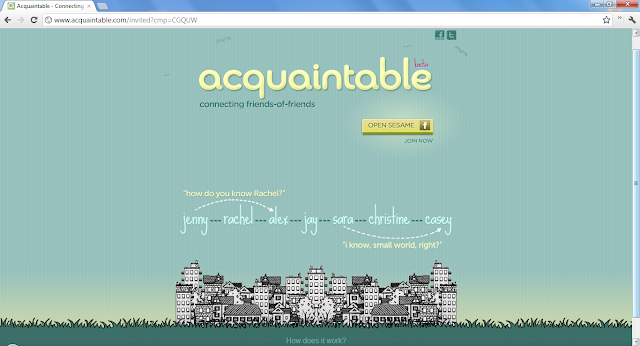 Acquaintable works with Facebook to connect you with your friend's friends. Visit Acquaintable each day to see 10 possible contacts that you can get acquainted with if someone interest you. Only if they mutually want to get acquainted with you will your identity be revealed and the connection made.